It is called ‘Srinagar’s jewel’ or ‘jewel in the crown of Kashmir’ — the Dal Lake, immortalised by literature as much as by countless popular movies and tourist chronicles. Sadly, today it has become a victim of political, social and economic neglect. Over the last thirty years, the lake has been deteriorating at a rapid rate. According to a reply submitted by the state government to the J&K High Court on September 18, Rs 759 crores of rupees have been spent on the lake since the year 2002, but the plight of the lake continues to become poorer by the day. A number of restoration plans by national and international agencies documented over decades — the Srinagar Master Plan of 1971, Lake Area Master Plan by Stein (1972), Enex consortium Report (1978), Dal Lake Development report by Riddle (1985), ODA (1989), Project report under NCLP (1997) and Project Report of AHEC Roorkee (2000) — have been toyed with, but there has been little improvement in the lake environment. Recently the J&K High Court has constituted a three-member High Level Committee to suggest measures for saving the iconic Lake of Kashmir and the report is most likely to be submitted by the end of November before court. The erstwhile Union Ministry of Environment and Forests launched the ‘Save Dal Project’ with a huge allocation of Rs.500 crore to clean the lake. 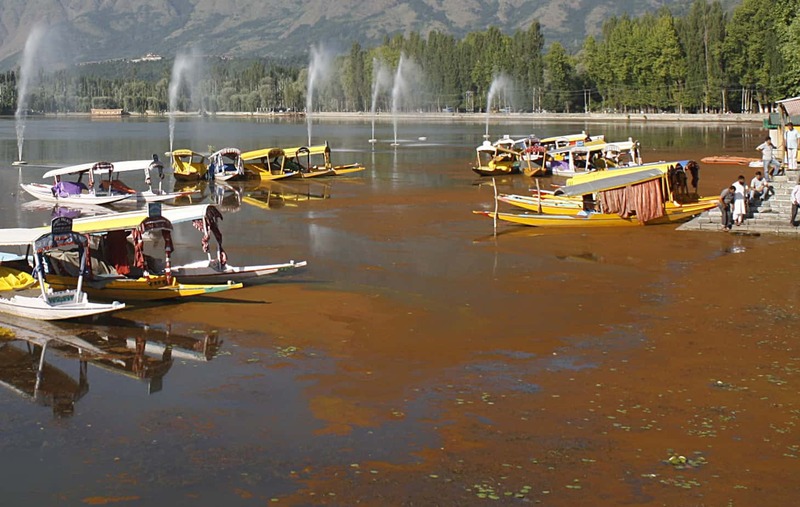 In January of the year, Rs 5 lakh was released to the Lakes and Waterways Development Authority (LAWDA) of Jammu and Kashmir for preparation of a pre-feasibility report on the pollution of water bodies in Kashmir. The proposal made was returned to the state government for their comments in June 1998, as it was found unsustainable in view of the high cost of operation and maintenance. That same year, on September 11th, the Supreme Court issued a show cause notice to all the respondents and asked them to specify their respective roles in controlling the flow of pollutants in the lake. A petition was filed over the expenditure sheet submitted by the JK-LAWDA on account of expenses used for the improvement of the lake. In the same year, the Supreme Court directed the Central and State government and other concerned authorities to file their responses within four weeks to the public interest litigation seeking environmental protection for Dal. 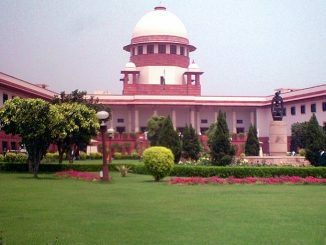 Later in 2001 again, the Supreme Court referred the case to the High Court of Kashmir for further analysis. Syed Iqbal Tahir Geelani wrote a letter to the Chief Justice of the High Court against the construction around the Dal Lake. The petitioner wrote that the constructions violated the Srinagar Master Plan, 1971. This was later converted to a PIL and tagged to the PIL filed in 2000. 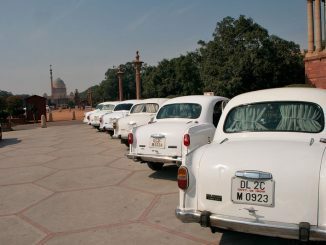 In July 2002, first detailed direction was given by the High court bench to clean the Dal. A stricture was filed against the LAWDA and SMC for misleading the Court. A three- member committee, headed by District and Session judge Abdul Wahid and co-opted by three officials, visited Dal Lake on October 5th, October 10th and October 15th for the inspection. The report indicated that many illegal constructions had been raised within 200 metres of its peripheral area. The report further said that the LAWDA vice-chairperson was conscious of illegal constructions raised within lake and its periphery, but pleaded helplessness. In the same year, the court directed the commissioner to present before it the particulars of all people who have raised structures in the lake and within 200 metres of the same. The High court directed that if a person raises construction after demolition, he should be arrested. The court also directed houseboat owners to realign the houseboats in a geometric form. The High Court directed LAWDA to resume demolition around the Dal Lake and file a status report on the illegal structures from Dal Gate to Mughal Gardens in Srinagar. In the same year over 300 hotels, restaurants, government offices and residential complexes were put on demolition notice by the LAWDA, following court’s directions. Justice Bashir Ahmad Khan ordered the demolition of all constructions within a strip of 130 feet from the centre of the road. In the same year the state pollution control board (JK- PCB) initiated prosecution against the famous Hotel Grand Palace and Urban Environmental Engineering Department for raising unauthorized structures around Dal Lake. In November of the same year, the Registrar (judicial) in his report revealed that water bodies had not been cleansed of polythene bags. The report further indicated that no illegal structure had been demolished during the preceding two years. Construction material had been freely allowed into the area, which stood partly utilized in the construction of fresh structures. The dredgers and weed harvesters were found to be non-functional. No scheme for treatment of sewage from house boats had been devised. In response to the report, the court directed the Vice Chairman LAWDA to report on improvements. On December 5th, the court monitoring committee was asked to conduct another inspection of the area in and around Dal Lake. 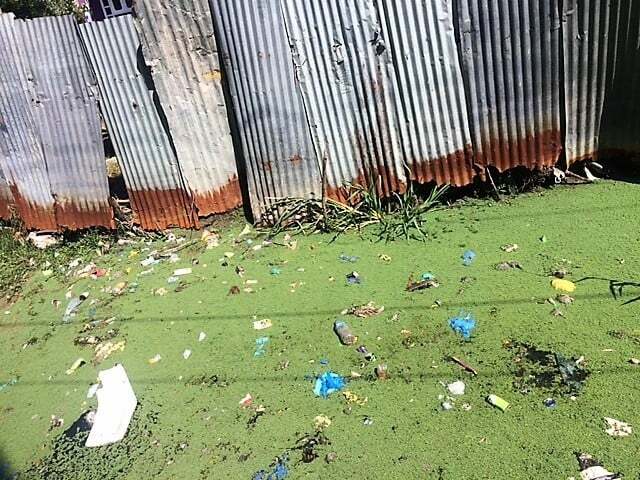 The committee questioned the discrepancy between the reports produced by the PCB and LAWDA on the Sewerage Treatment Plants (STPs) installed at Grand Palace and Centaur Hotel in Srinagar. 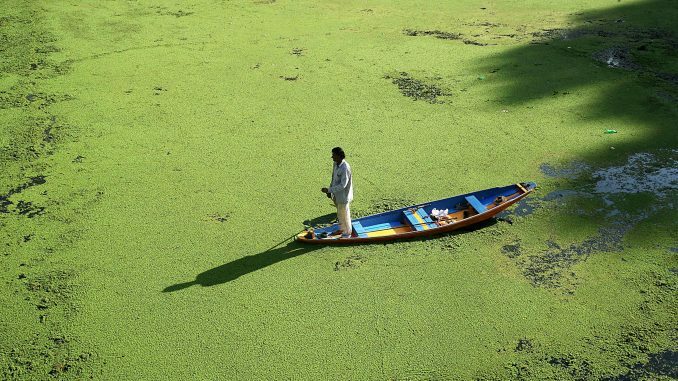 The PCB submitted a report that showed high levels of lead, arsenic, iron, manganese, copper and cadmium present in Dal Lake, affecting the aquatic life in the lake. The report also said that the houseboat lavatories had polluted the lake badly. Following this, courts directed 1200 houseboat to shutdown or take steps to minimize the pollution. Around the same year, the Houseboat Owners’ Association demanded identification and demarcation of territorial limits of Dal and the Nigeen Lake. 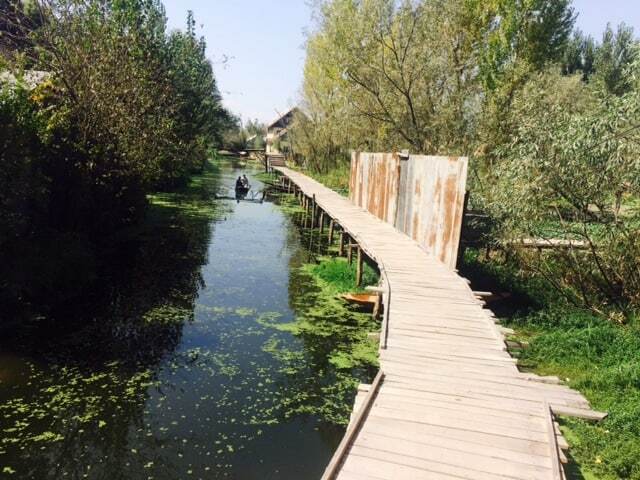 In the backdrop of this, the Ministry of Environment and Forests released the first installment under the National Lake Conservation Programme to conserve wetlands of Kashmir. A sum of Rs 298 crore was released, to be spent towards development of sewerage system, removal of encroachment, hydraulic works, cleaning of channels, solid waste management and conservation works in the catchment area of Dal Lake. In May 2009, Jammu and Kashmir banned further registration of houseboats. The High Court imposed a ban on any illegal structure raised in and around Dal. The High court also set up a committee to prepare a well-defined report on the overall situation of the Dal Lake. LAWDA was directed to plug all open drains and upgrade STPs. The Authority had submitted before court that the department was already working on upgrading and construction of new STPs, but to this date no such effort has been visible on the ground. The court-appointed vigilance commissioners were asked to file their reports with respect to the lake. In their various reports, they have continuously informed the judiciary that illegal constructions have been continuing in and around the lake. The court directed a water quality assessment of the lake to be undertaken and also called for uprooting lily pads. The court, yet again, called for immediate measures for saving the lake and observed that otherwise the lake’s restoration was ‘hopeless’. Unchecked encroachments through human interventions, and inefficient sewage treatment plants (STPs) played a huge role in the deterioration of the lake, as the above timeline shows. But experts also refer to several infrastructure projects that have been detrimental to the health of the lake. Take for example, the construction of Western Foreshore Road. According to Professor Shakeel Rhomsoo, the head of the Earth Sciences Department at the University of Kashmir and an expert on Dal Lake, this project was a disaster, as tons of filling material choked vital water channels which acted as arteries of the lake. Not only this, but the construction of macadamized pathways and link roads further killed the ecosystem of the lake. Rhomsoo says we need to identify loopholes and act upon issues which the Dal is facing; otherwise twenty years hence, Dal will be a sewerage reservoir. In October 2017, chief minister Mehbooba Mufti visited the interiors of the lake and expressed concern over the rising pollution level. Two committees were set up to conserve the lake: a scientific-advisory committee and a monitoring committee. Their recommendations have already been submitted but nothing has been done so far, says Rhomsoo, who is a member of the scientific advisory committee. While Dal has always caught the public eye, the reality is that Kashmir’s other major lakes such as Anchar, Wular, Gilsar, Khushalsar and Nageen are also in pitiable condition, owing to unchecked pollution and encroachment. The restoration of Dal Lake is particularly important for it holds the key to their future as well. 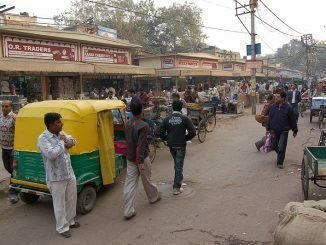 Do you know why the Supreme Court slammed the Centre and Delhi civic authorities recently, saying that if they did not act now, they might have to move base like Tughlaq? Read more on this and other key headlines from India’s fast growing cities. I was on Central Government service in Kashmir between 1965 and 1970. During week end, I used to hire a shikara for half a day, pack some food, water and a few books to keep sailing from Dal lake to adjoining Nagin lake. Other shikaras laden with fruits etc. used to visit the Shikara I was sailing for sales. Water was almost transparent and I could see fish swimming along by the side of our Shikara. During my recent visit I saw what has been reported in Citizen Matters and felt sad how such a beautiful heavenly place could be converted into a stinking and weed-filled place. Surface of the Dal used to form thin ice during winter and in 1968, it froze and children played on the lake. It is true that the Houseboats even in those days used to discharge their toilet waste and some of us had brought to the notice to the authorities but to no avail. Kashmir is being wasted – a heavenly place being mauled by political and societal disturbances coupled with terrorism and tragic deaths. Hope Kashmir will regain its past glory and become a tourists heaven.